Promote the safety of motorcyclists by encouraging education and liaison with organized safety councils. Promote legislative reform and organize events with government officials and representatives. Disseminate information to aid in the continued safe enjoyment of two-wheeled motorized transportation. Intervene, as necessary, in Public Utility Board hearings into insurance rate applications. 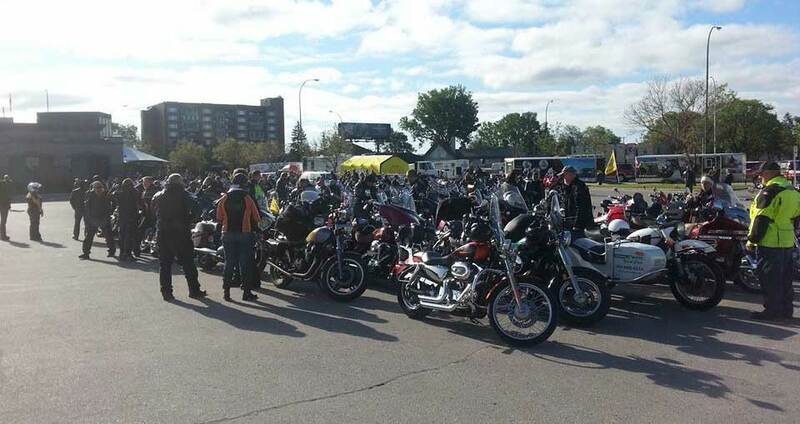 The CMMG is a non-profit organization promoting the safety of Manitoba’s motorcyclists by encouraging education, promoting legislative reform, and disseminating information to aid in the continued safe enjoyment of two-wheeled motorized transportation. In 2007, a “Loss Transfer” Methodology will be introduced. Personal injury costs shared equally among all MPI insured vehicles involved in a collision, regardless of fault. Hit and run injury costs shared by all vehicle classes. 10% Insurance rebate in 2007 to all policyholders for all vehicles. This is in addition to previous rebates in 2006 and 2001. Optional protective clothing coverage for 2007. 145 Motorcycles removed from the higher premium sport bike category. A “Pleasure” and “All Purpose” class for motorcycles. 70% plus decrease in fire, theft and vandalism coverage. Seasonally adjusted premiums, providing year round riding for payment of 5 months of insurance. CMMG was instrumental in initiating the Mandatory Motorcycle Training Program and its recommendations incorporated into the graduated licensing program. CMMG is active in motorcycle awareness programs. Currently working with MPI and Safety Services Manitoba to prepare motorcycle awareness and motorcycle training videos. CMMG depends on membership fees and involvement to continue its lobbying efforts for motorcyclists. Remember: It’s not what you ride; it’s because you ride! Formed in 1993 by concerned motorcycle enthusiasts and dealers, to combat the steep insurance rate increases proposed by Manitoba Public Insurance (MPI). A crown monopoly, such as MPI, is monitored and scrutinized by the Public Utilities Board. The pioneers of the CMMG took up the fight to bring the plight of Manitoba’s motorcycling industry to the forefront and began lobbying government, the MPI Board and the Public Utilities Board (PUB) as a registered intervener. One of the initial successes achieved by the CMMG was having the PUB establish a “rate shock” threshold that forced MPI to restrict its rate increase requests to a maximum of 15-20%.